This week our we have chosen our newest tea light holders as our wedding decoration of the week. We have seen a lot of bronze and gold colours coming through in wedding décor recently, our new bronze tea light holders are perfect for adding glamour to your tables. Create a high end luxe feel to your tables by introducing bronze and gold. The tea light holders look stunning as the candle light shines through. 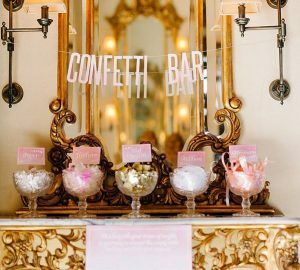 Add serious glamour to your wedding tables with our luxe bronze tea light holders. The bronze tea light holders will shine candle light across your tables and look fab mixed in with the larger version of these tea light holders. The tea light holders are bronze / copper in colour with a textured outer edge, inside they are silver to reflect the candle light. 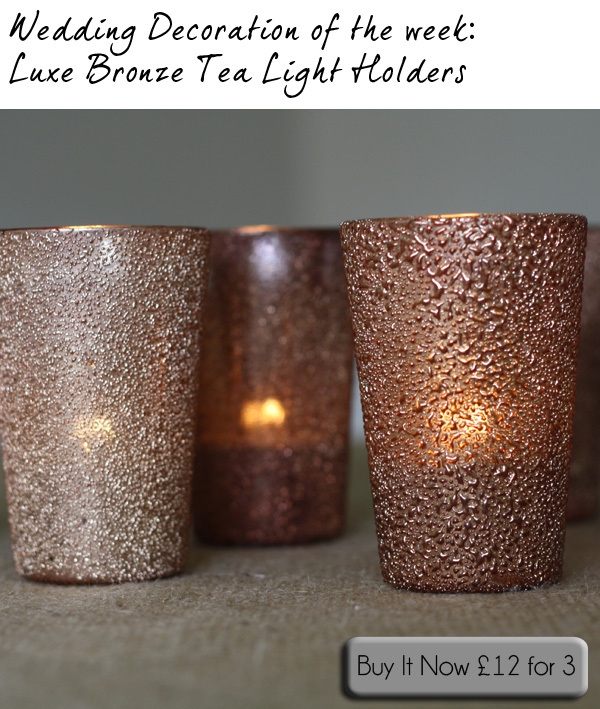 The luxe bronze tea light holders hold a standard tea light and measure 10cm in height. Colours and tones of bronze vary slightly on each tea light holder. Also available in a large size which can hold candles or flowers. Large bronze votives.